China SPMT roll on 3,000 tons steel bridge section, 100 axle lines SPMT was used to transport the giant section which is part of famous bridge construction project for connecting Hong Kong, Macau and Zhuhai. Total length of the bridge is almost 50 kilometers, gross cost up to 72,9 billion CNY. It will be main traffic way to connect Hong Kong, Macau and Zhuhai. The project including bridge construction, island and tunnel(under sea) constructions, is one of the biggest project after Three Gorges Dam, Qinhai-Tibet Railway, Beijing-Shanghai express railway, also one of the most complicated, highest standard and strictest requirements on security and environment. Dimensions of the first giant bridge section is 132mx33mx4.5m, which is one of the biggest bridge section in domestic China, there will be another giant section weighs 3,500 tons for roll on barge in the end of 2014. During the project, 100 axle lines of self propelled modular transporter with 4 units of PPU involved in it. 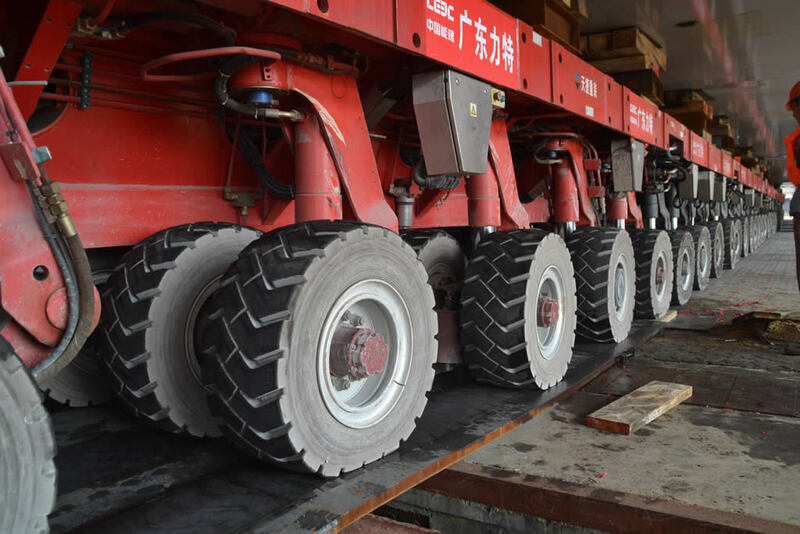 Compare to normal hydraulic modular trailer, SPMT has powerful capacity, hydraulic drive system, precise movement and brilliant coupling system. 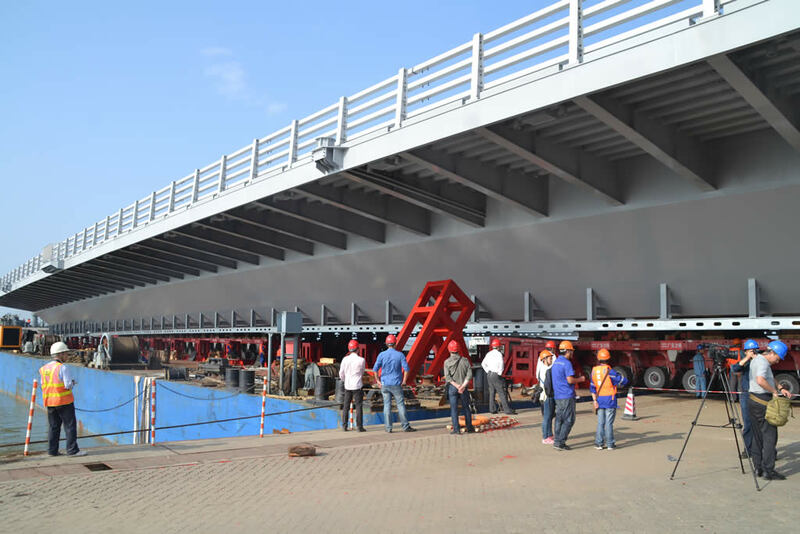 GPEC contracted for this transport job, and Wuchang Shipbuilding Industry built the giant bridge section.